I realized I never put up a review of last months Owl Crate box, but hey, better late than never, right? The theme for the month was "Find Me in the Forest" and it had a lovely variety of goodies, so let's jump right in. 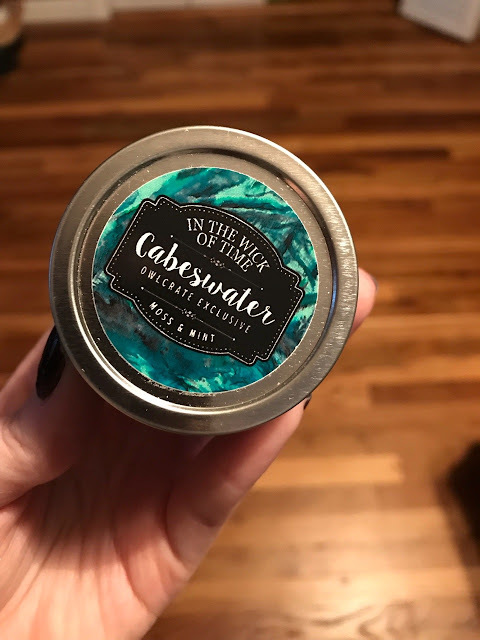 The first thing I pulled out was this cute little candle, which was exclusive to Owl Crate members, by In The Wick of Time inspired by the series, The Raven Cycle. I haven't read the series, but I have heard very good things about the candle company, so I'm excited to try it. And it smells like mint with a hint of forest, and usually I don't like woodsy scents, but I kinda like it. 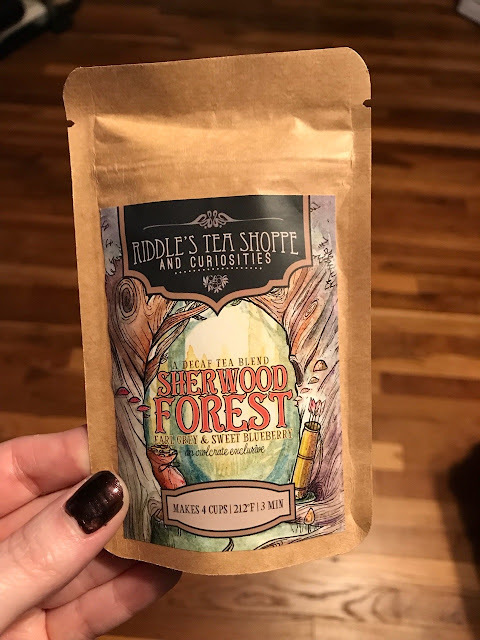 Next up, is the cutest little packet of tea by Riddle's Tea Shoppe. 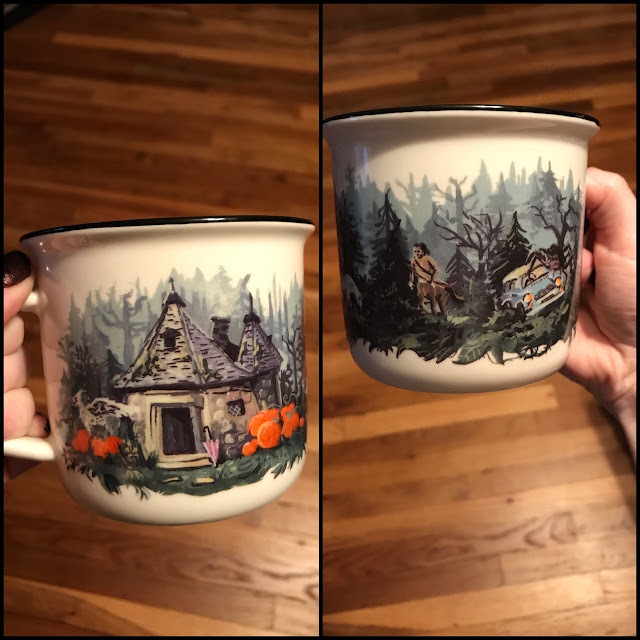 I don't think you could have a forest theme without having something to do with Robin Hood and his band of merry men, and who doesn't love a good cuppa tea? This is also an exclusive for the box and tastes just like a slice of blueberry pie. This is my favorite item that came last month. It's a Harry Potter mug! You all know my love of Harry Potter, but I also am slightly obsessed with mugs, so this feels like it was made just for me. The design of Hagrid's hut and the Forbidden Forest is just beautiful, and there's even a little Buckbeak on it. I love it so much. And here we have yet another exclusive (this box was just filled with them! ), a pretty little woodland coaster. 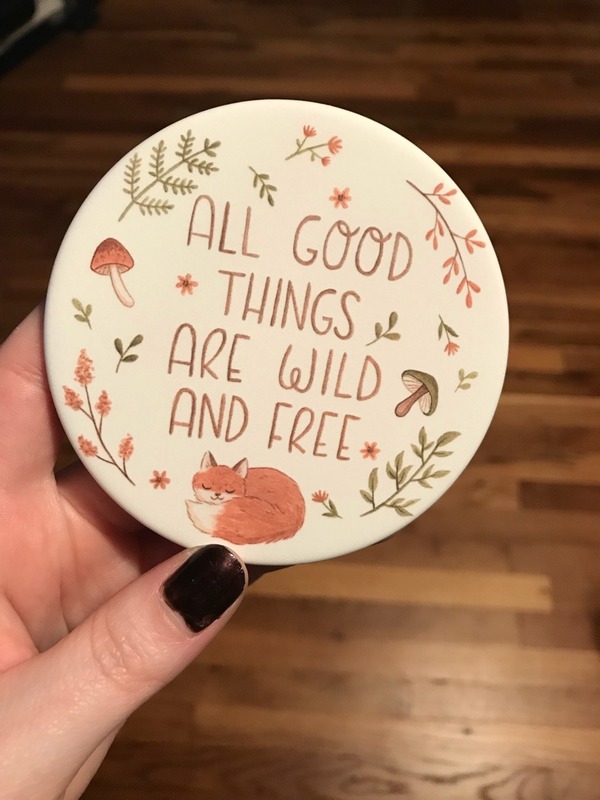 The design is so simple, but so pretty and I love the quote as well. It's such a nice little addition to go along with the mug. Next up were these adorable little magnetic bookmarks inspired by Where the Wild Things Are from Craftedvan. 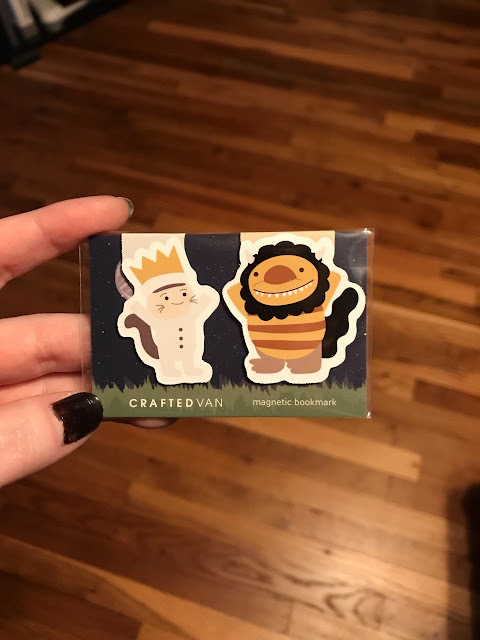 I've never had magnetic bookmarks before, so I'm really excited about these. Plus, I just think they're adorable. And keeping with the exclusive trend, they also included this print of San from Princess Mononoke created by Audra Auclair. 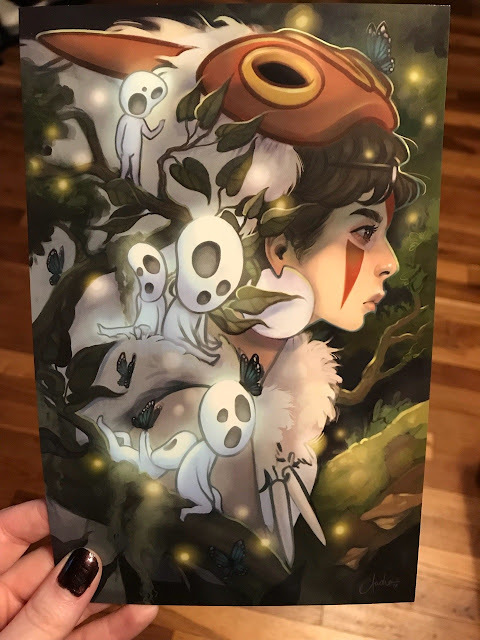 It's just so pretty and a good reminder to be as kind and as fierce as the Wolf Girl is when it comes to the place we call home. 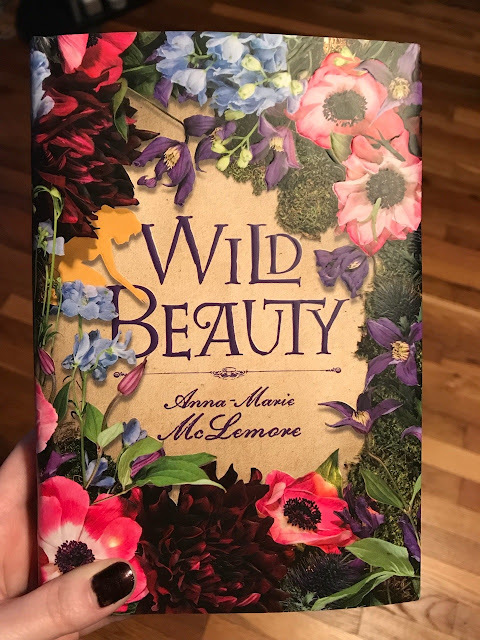 And finally we get to the book for the month, Wild Beauty by Anna-Marie McLemore. The story centers around the Nomeolvides family, who are a group of women who tend to the beautiful garden estate of La Pradera. The Nomeolvides women have been blessed with the ability to grow stunning flowers whenever they desire, but that ability comes with a cost. They can never leave the ground of La Pradera, and anytime they fall deeply in love, their lovers mysteriously vanish. One day, a strange boy appears from the soil and the women begin to question everything. The book also came with a cute little packet of Forget-me-not seeds, which I thought was such a nice touch and definitely on theme. Has anyone read the book yet? If so, lemme know what you thought!